The first entry in New York city directories for William Bjur, piano maker, occurs in 1888. Somewhat earlier, October, 1882, William L. Bjur (1861-1944), age 21, born in Sweden, 8 October 1861, was granted U. S. citizenship. He lived at that time at 242 East 35th Street, New York City. His naturalization petition was witnessed by his father, Wilhelm Bjur, also a piano maker. Directories indicate that William Bjur was joined by his brother, Robert Knut Bjur (1879-1936), in the early 1900s, and that the company became known as Bjur. Bros. around 1908 when they moved to the building above, 2572 Park Ave., the Bronx. Robert Bjur was born in New York City, 29 April 1879. He registered for the World War I draft in 1918, when he was 39 years old and lived at 1026 Trinity Ave., the Bronx. His occupation was piano maker, "Bjur Bros. Co., 705 Whitlock Ave., the Bronx." The website Antique Piano Shop, has the following on Bjur Brothers, "The Bjur Brothers Piano Company was established in 1887 by brothers William and Robert Bjur. 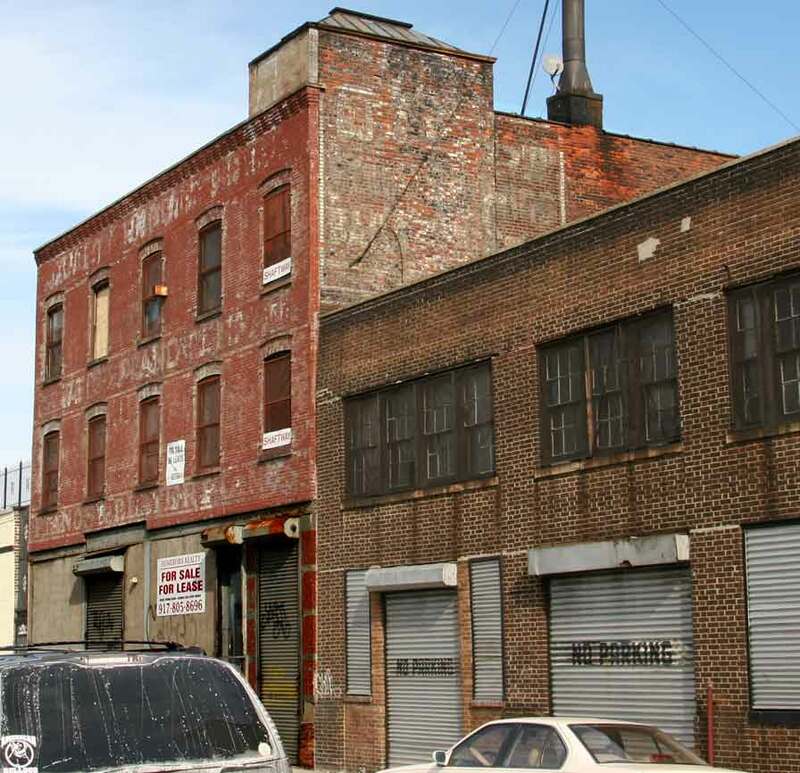 Their factory was located at 705 Whitlock Avenue in New York City. Bjur Brothers built a full line of uprights, grands, and player pianos during the late 19th and early 20th Centuries, and they enjoyed a reputation for building instruments of fine craftsmanship and durability. In addition to building pianos under the Bjur Brothers name, they also manufactured pianos under the brand names of Stultz & Company, Bailey Piano Company, Mellotona, and American Player Piano Company. The Bjur Brothers factory also built pianos for the Gordon & Sons Piano Company until 1927 when Bjur was taken over by industrial giant Kohler & Campbell. Kohler & Campbell continued to produce pianos under the Bjur Brothers brand name until about 1957." Bjur Bros. was located at 2572 Park Ave. from 1908 to 1912. In 1912 they leased space at Whitlock Avenue and 150th Street. As mentioned in the New York Times, 10 Nov. 1912, pg. 89, "Nicholson & Co. have leased for a long term the five-story and basement building, 125 by 100, with land adjoining, on Whitlock Avenue and 150th Street, adjacent to the Casanova station of the New Haven Railroad, to the Bjur Brothers' Piano Company. This building was formerly occupied by the Gabler Piano Company." This new facility was 705 Whitlock Ave., near the corner of Leggett Ave, the Bronx. (On current (2016) maps this is 705 Bruckner Blvd.) This map dated 1921 from the New York Public Library's Digital Collections shows Piano Factory at this location. This ad for the Bjur Bros. Player Piano dates from 1910 when it was for sale at the Barker Piano Co. in Hartford, Conn. This ad for the Bjur Bros. Pianos dates from 1917 when Bjur built pianos for Gordon & Son. The address, 156th Street and Southern Boulevard, was one block north of the factory at Whitlock Ave. Might this have been an office? The sign on the side of the building above is somewhat obscure, but the letters BJ can be made out in the top left. Across the front of 2572 Park Ave. are three rows of lettering. The bottom row with Pianos & Player Pianos is readable. The higher rows are faded and obscure.